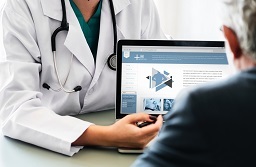 For over 10 years we have worked closely with hospitals to provide them with fully installed hardware equipment and power to enable them to work more efficiently and save on budgets. With our unparalleled knowledge of products, technical specifications, new technologies and installation procedures in the audio-visual and IT world, we are able to offer comprehensive advice on a range of hardware solutions which meet the needs of the end-user. With the ongoing squeezing of budgets in healthcare, we innovate constantly for our clients, check our prices daily and liaise closely with hospitals facilities departments to ensure that money is well spent. Our project managers, trained engineers and obsession with quality ensure that you get a seamless, expert installation with no mess or hassle. It’s what our clients like most about what we do. Stripping out the existing temporary cabling and installing network outlets. 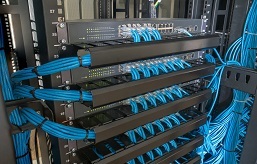 Installation of termination faceplates and cable connectors at various locations. From meeting room presentation equipment including projectors and screens, to PCs, laptops, network point installation, wireless, audio solutions, CCTV, access control and digital signage, you can rest assured that we can cater to your every need when it comes to the hardware solution you need.